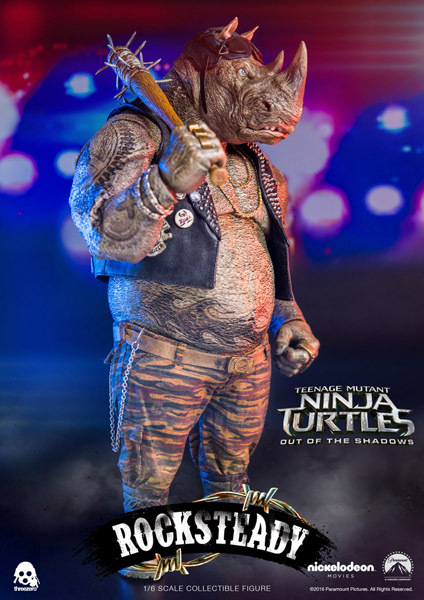 We want to thank everyone who already supported our TMNT collectibles and asked hundreds of questions, whether we will be making collectibles from the second Teenage Mutant Ninja Turtles Out of the Shadows movie. 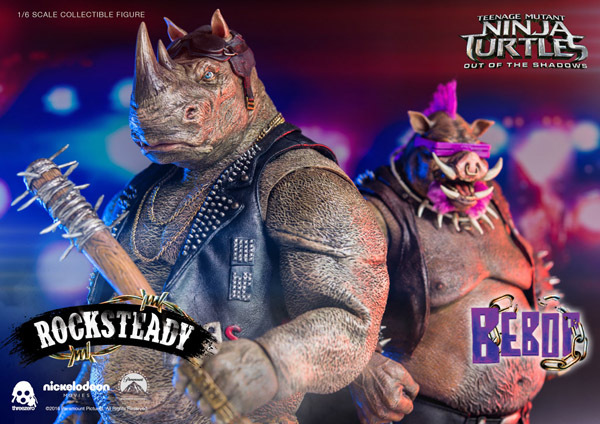 Some of you already saw our teaser earlier in June and today we want to announce pre-order details for Bebop and Rocksteady collectibles! 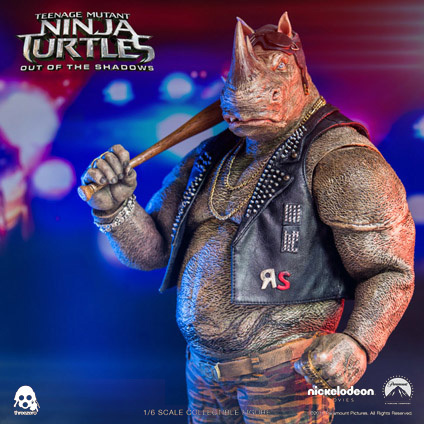 1/6th scale Teenage Mutant Ninja Turtles Out of the Shadows: Bebop and Rocksteady collectible figures will be available for pre-order at www.threezerostore.com starting from July 22nd 9:00AM Hong Kong time for 260USD/2020HKD for Bebop and 280USD/2180HKD for Rocksteady with International shipping included in the price. 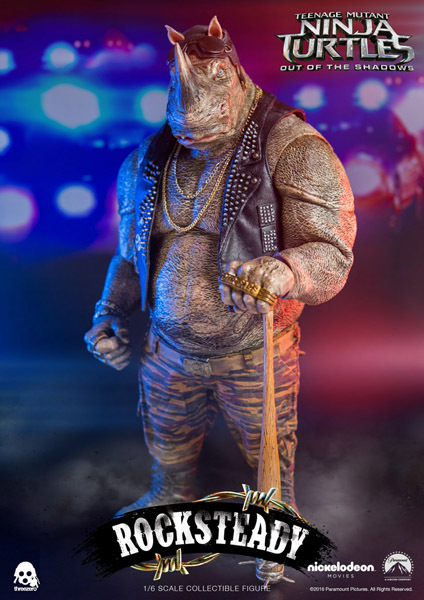 As part of the special threezerostore exclusive offer: We will have both Bebop and Rocksteady collectibles purchased together offered for a special combined price of 459USD/3570HKD with International shipping included in the price. 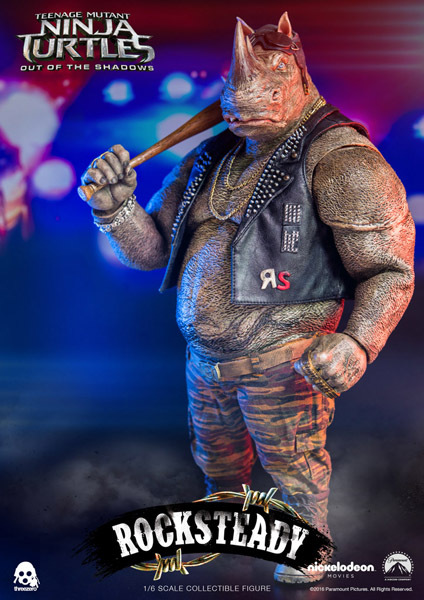 Bebop and Rocksteady collectible figures come in 1/6th scale and are designed after the characters on-screen appearance and both collectibles feature soft PVC dermis on the arms and tattoos. 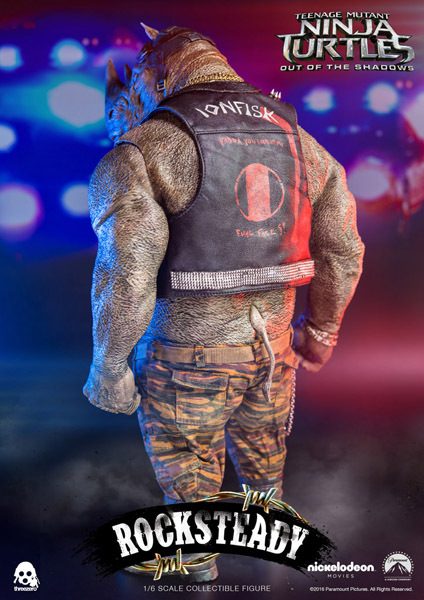 Bebop stands approximately 35.5cm/13.98inches tall, comes with Spiked full-arm gauntlets; Detachable glasses; Real metal necklace; Detailed bone/tooth necklace; Faux-Leather vest with badges and spikes; Pants with spikes and belt; Real metal wallet chain; Real fabric pink hair; Interchangeable right hand. 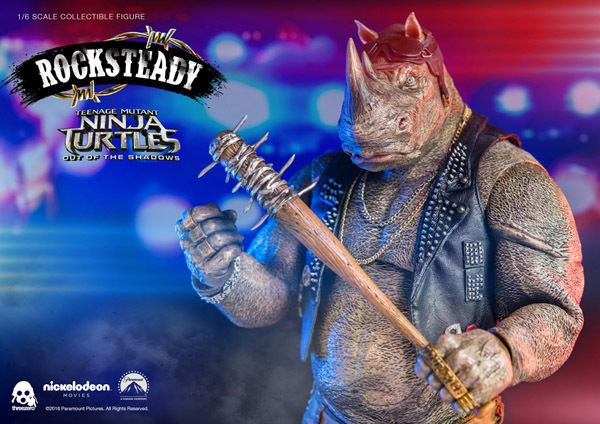 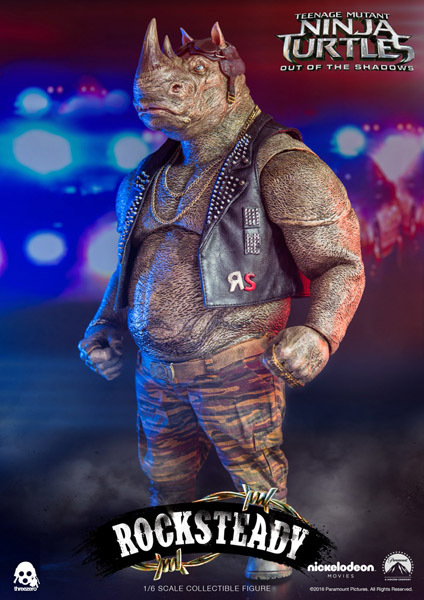 Rocksteady stands approximately 38cm/14.96inches tall and comes with Detachable helmet and Goggles; Real metal necklace and wrist chain; Faux-Leather vest with badges and spikes; Detailed camouflage pattern pants with belt; Real metal wallet chain; Baseball bat wrapped with barbed wire. 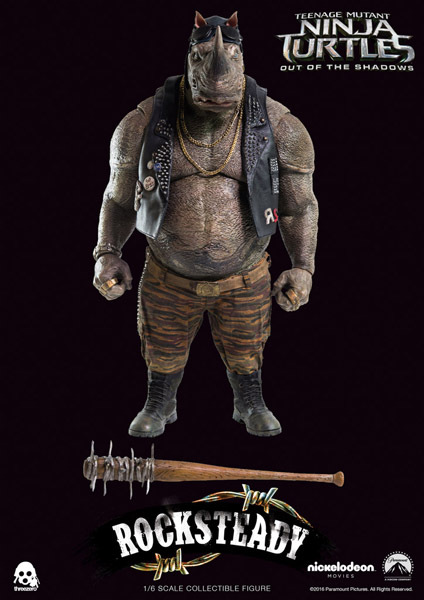 * Baseball bat wrapped with barbed wire.